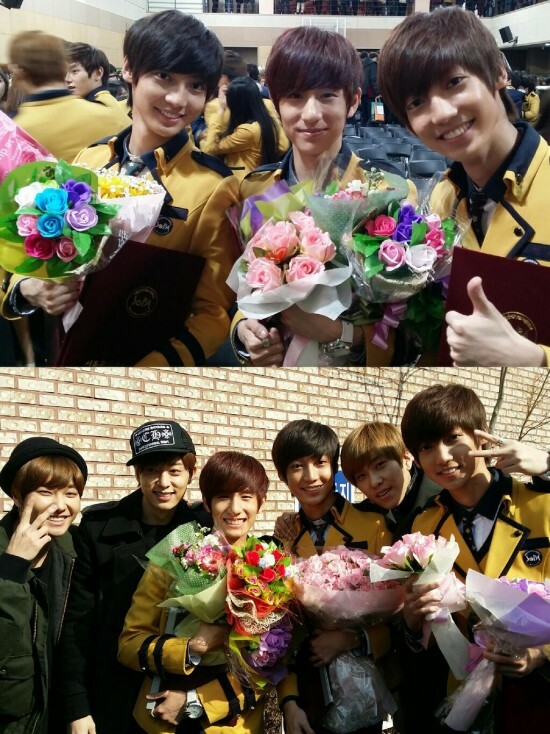 Youngmin, Kwangmin, and Minwoo graduate from high school!. . HD Wallpaper and background images in the Boyfriend club tagged: photo. This Boyfriend photo might contain bridesmaid and maid of honor.